Former Watford, Liverpool and England midfielder John Barnes was a trailblazer of English football through the 1980s and 1990s, winning both major trophies and the hearts and minds of budding young players the world over. Born in Jamaica in 1964, Barnes moved to London at the age of 12 with his family, and began playing in the bright yellow of Watford. There, under late manager Graham Taylor, he caught the eye of Merseyside giants Liverpool, and signed for them in summer 1987. There, he powered The Reds league triumphs in 1988 and 1990 as well as winning and FA Cup and League Cup. In doing so, Barnes inspired generations of young boys all over England with his mercurial dribbling skills and pacey bursts through midfield in one of the most formidable attacks in the Premier League. Barnes was also an international standout for England. His goal against Brazil at the Maracana, Rio de Janeiro, in 1984, which he slalomed through the defence before slotting the ball home from close range, is still talked about as one of the greatest England goals of all time. Here, Barnes sits down with teammate and good friend, RT’s Stan Collymore, to reminisce about some of his career highlights and iconic footballing moments from Maradona’s Hand of God to ‘Gazza’s tears’ and Sir Bobby Robson’s inimitable blend of Churchillian leadership and absent-mindedness. “I started playing for England in 1983, so come 1986 I was a fairly well-established member of the squad,” Barnes, who played 79 times in all for The Three Lions, tells Stan of his England call-up for the Mexico 1986 World Cup by then-manager Robson. Although Barnes recalls “I knew I was gonna go, as long as I wasn’t going to get injured,” he jokes that England manager Bobby Robson told him he was a cert for his squad, but for a comical case of mistaken identity with Watford teammate Luther Blissett by the legendary coach. 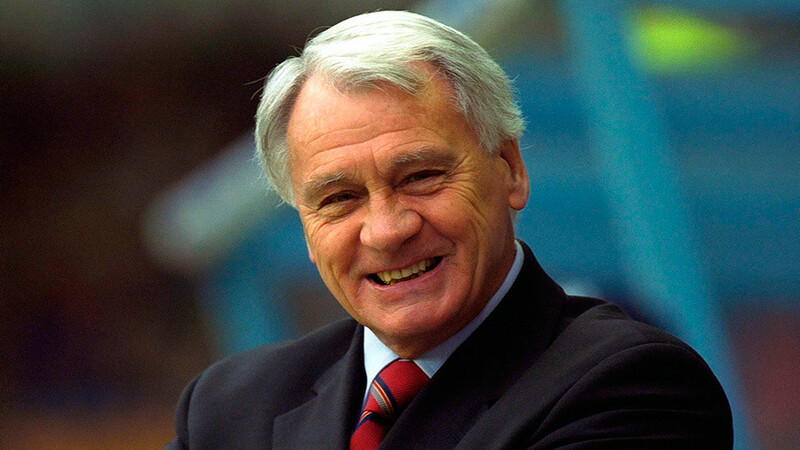 “I did [know I was going to the World Cup] because [Bobby Robson] looked at me in the eye and said ‘Luther, you are definitely going.’ I went ‘No boss, I’m John Barnes!’ No he didn’t tell me as such, but as I said it was really interesting back then because the squad really picked itself,” Barnes says of an England side captained by Manchester United’s Bryan Robson. “When you’re playing for England, there are always unrealistic expectations, they always expect you to overachieve, they always expect you to win, because you’re English, rather than looking at the quality of other teams, and being realistic about it,” Barnes says of the pressure of high expectations that come with playing international football. Barnes’ first World Cup was in 1986 in Mexico, where England advanced from the group stage and recorded a resounding 3-0 victory over Paraguay in the Round of 16 to set up a quarter-final tie with Argentina at Estadio Azteca in Mexico City. The match came just four years after the Falklands War, a short conflict between the two nations over the Falkland Islands, known as Islas Malvinas in Argentina, the tiny archipelago off the Patagonian shelf. The war resulted in almost 1,000 deaths, and ultimately a British victory. Barnes says the conflict invariably influenced the team-talk of patriotic manager Robson and also the atmosphere in the dressing room, perpetuated by senior players in the England ranks. “We were all well aware because Bobby, and we all love Bobby, Bobby’s team talks always revolved around, of course, if you know the history of the British Empire, Bobby’s team talk always revolved around ‘remember the war’ – now of course when you’re playing against Germany that’s very obvious,” Barnes recalls. “But you’ve had the war of independence against America, you’ve had the Crimean War against the Russians – how many wars have we had against France? People think it must just be against Germany, but you know England have fought against everybody so of course – the Argentinian Malvinas. “When you played for England, I’ve never actually said it, but a lot of the talk also from people like Terry Butcher, Bryan Robson, Ray Wilkins. He [Butcher] used to headbutt the wall and say ‘they shall not pass’ and he’s a real warrior and he also bought into this thing about the British Empire and what have you. The match also provided Barnes with what he ranks as one of the best moments of his World Cup career: watching Argentine great and team captain Diego Maradona take to the football pitch. “Diego Maradona is my favorite player of all time and in the warm up it was really funny because in the warm up you have two halves of the pitch and you're all on the pitch warming up and of course we're all on the pitch warming up, passing the ball to each other, everyone is having a little look over to see what Maradona is doing. Maradona’s pre-match warm up was perhaps an omen for the havoc he was to wreak upon the England side, legitimately or otherwise, in two separate events regarded as the most iconic in World Cup history. “I was on the bench,” Barnes begins. “I sat on the bench and I watch him throughout the whole game, so to be honest we all saw the first goal which was the handball. We couldn’t believe the linesman didn’t see it." Maradona’s second goal began in his own half, and after gliding past England’s defense, he rolled the ball past Shilton, sounding the death knell for England’s World Cup. Maradona would eventually lift the cup as captain that year. Four years later, Barnes was called up to the England squad for World Cup Italia 90. It was a squad Barnes felt had matured since 1986, and simultaneously reinvigorated by emerging young talent, including the vibrant, precocious Paul Gascoigne. “When you have characters like Paul Gascoigne everything just goes out the window. Because Gazza, really, with his youth and his naivety really just pulled us through and it was just a marvel watching what he was doing. His character around the dressing room and around the place, of course, he took the attention of the press from us,” Barnes reveals. Although Barnes’ World Cup campaign ended when he was substituted at half-time against Cameroon in the group stage, the wall-headbutting warrior atmosphere continued, and England, down in no small part to the talent of Gascoigne, advanced to the semi-final against West Germany. There, England were knocked out on penalties to their great rivals. Gascoigne endeared himself to the nation with his now famous tears at being booked for a mis-timed lunge on Germany’s Thomas Berthold, ruling him out of the World Cup final should England get there. Despite the defeat, Barnes says England arrived home from Italia 90 as heroes, having reached their first World Cup semi-final since 1966. But his reaction to the welcome was taciturn. “England have done really well and Barnesy you’re part of the team and we did well, but I knew that the next game if I didn't play well they’d be on my back again so i was kind of like a little bit reserved in my joy,” he says. 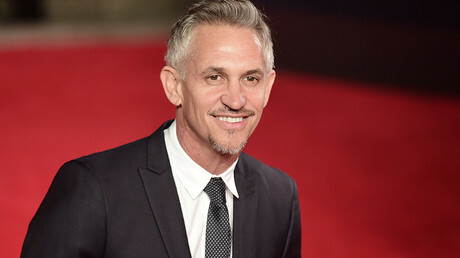 Nevertheless Barnes looks fondly upon his international tenure, highlighting two of the World Cup’s biggest personalities as the brightest moments in his career. But which is his favourite memory of those two World Cups? Barnes remains undecided, but there is only one anecdotal winner. “Watching Maradona play. Out of both, Gazza announcing himself to the world, and what he did and some of the stories about Gazza. Because I saw Thomas Berthold, funnily enough, and he is the player that Gazza kicked.